I can safely say that I could count on one hand how many gigs I’ve been to that I’ve not enjoyed. For me, there’s an ambiance that surrounds live shows that is always exciting, even if it’s not the sort of thing I usually listen to. 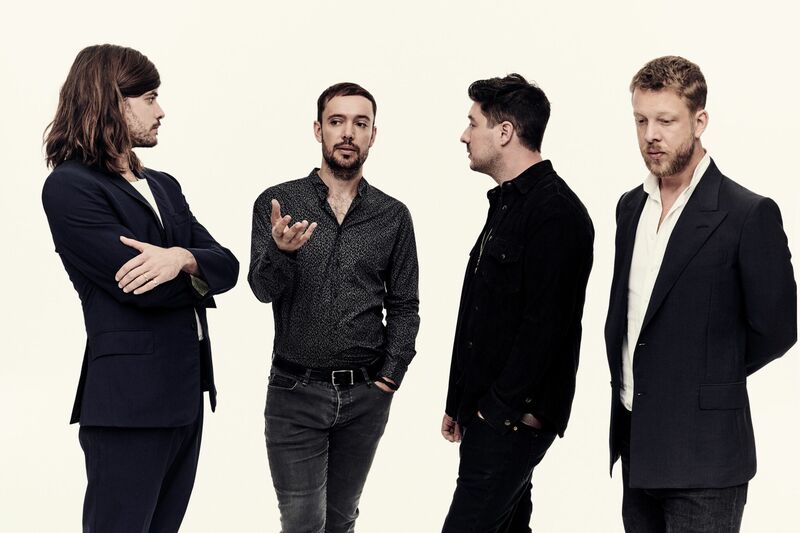 This being said, there are bands that I would put on my ‘elite’ list for their performance and Mumford and Sons have now made it as one of my favourite live acts. I haven’t been to the Metro Radio Arena in Newcastle for years, my usual haunts are the smaller venues in town, so it was a nice change to arrive at the huge building which was swimming with people. Usually at this point I would launch into the support act, however I am a terrible person and I missed upcoming American artist Maggie Rogers. It’s a real shame because I did overhear a few people chatting about how good she was, so I’ll hopefully catch her next time she’s in Newcastle. So without further ado, let’s launch straight into the headliners, Mumford and Sons. In all honesty, I’m still trying to digest the evening. It really did exceed my expectations in every way possible. Firstly, the stage setup deserves a mention. I prefer smaller venues over massive arenas for multiple reasons, the intimacy, sound quality and the fact you can actually see the band perform to name just a few, but this show actually succeeded in feeling like it was taking place in a much smaller room. The stage had been moved pretty central and positioned so that everyone could see Marcus Mumford and co play through their packed setlist and each member of the band positioned themselves differently for each track so that nobody missed out at catching a glimpse. Wasting no time, the popular folk kings opened with ‘Guilding Light’, the lead single from their new album ‘Delta’, which lit up the room with its abundance of twinkling keys and Mumford’s distinct vocals. Following this, the band moved straight into crowd pleaser ‘Little Lion Man’, making it obvious that this show was for both old fans and new as everyone got up on their feet to dance. This wasn’t just a live music gig, it was a performance in its own right and it was impossible to take your eyes off what was happening. ‘Tompkins Square Park’, ‘White Blank Page’, ‘The Cave’ and ‘Roll Away Your Stone’ all made an appearance as the quartet produced their eccentric folk-style guitar patterns, explosive percussions and intricate soundscapes that switched between soothing and electrifying. Each lyric was screamed back by the audience with enthusiasm and even the seated fans were up to dance and wave their arms around. Alongside the exceptional quality that came with each track, additional features were added in there to really bring the set to life. Maggie Rogers was invited back out for track ‘Beloved’ which was full of passion and soaring keys that shimmered around Mumford and Rogers’ powerful vocals. A highlight moment that has to be mentioned was when the band were joined in a raised section of the stage with supporting musicians from the night, which included former Noah and the Whale member Tom Hobden, and the audience were treat to an intimate jamming session. Violin notes echoed around the arena and were complimented by a whole array of instruments and notes which created gorgeous soundscapes that echoed from each wall in the building. Everyone was captivated by the sheer volume of talent from the musicians on stage and it really was a special treat to be a part of that. Arriving back onto the stage for a whopping five-song encore which included personal favourite ‘I Will Wait’, ‘Timshel’ and ‘Awake My Soul’, I left the arena feeling completely overwhelmed with emotions. I don’t know what I expected from Mumford and Sons other than I knew it would be good. I just didn’t expect it to be THAT good. I guess there’s a reason that they headlined Glastonbury. So, can we do it all again soon?